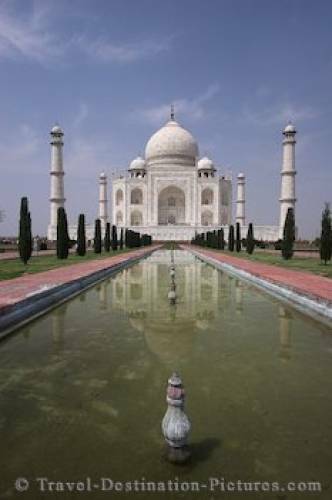 Probably THE point to visit for every visitor to India is undoubtedly the Taj Mahal. The monument was build by a Sultan for his wife, who died during the birth of her 14th child. The construction took several years with thousands of workers and brought the Sultan and the state to bankrupcy. the Taj Mahal complex in Agra, India.